I grew up with a pretty typical understanding of Heaven. It was the place “up there” where God lived, along with my deceased relatives and other believers. 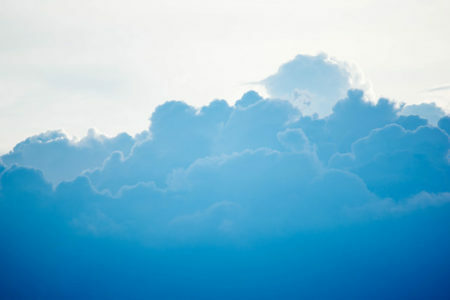 I remember seeing pictures of Heaven as a cloud-filled place featuring people in white robes. I don’t think any of my Sunday school teachers ever said that, in Heaven, we’d be sitting on clouds playing harps. But I did hear that we’d be part of the heavenly choir, singing praise to God forever. Now, I felt glad about the “forever” part. By all means, I preferred everlasting life to endless death. But I wasn’t all that sure about the rest of what Heaven involved. Hanging out with Jesus and my relatives seemed fine as something to do for a while. But forever? I shuddered when I imagined spending centuries trying to make small talk with my great aunts and great uncles. They were nice old people but not much fun. And, though I liked singing, the idea of being in a heavenly choir for all eternity didn’t exactly thrill me either. I never admitted to anyone my true feelings about Heaven. But, in fact, it didn’t sound like a place I’d like to be forever. I wasn’t in league with Bart Simpson, who was eager to go to Hell because there were lots of pirates there. I knew Hell was to be avoided at all costs. But I wasn’t all that thrilled about Heaven, either. My boyhood vision of Heaven came not so much from Scripture as from popular Christian tradition and imagination. If I had read Revelation 21-22, for example, I would have learned things that both contradicted what I assumed and gave me hope that the life of the future would be much better than anything I had imagined. Yet, for some reason, I completely missed the heavenly vision in the end of Revelation until I encountered it later in life. Now, we have the chance to engage with Revelation 21-22 in a fresh way, so that we might catch an accurate and inspiring glimpse of the future God has for us—and learn how this future makes a huge difference today. Even the first verse of Revelation 21 invites us to reconsider the traditional notion of Heaven. For example, John (the author of Revelation, see 1:1), saw “a new heaven and a new earth.” His vision of the future did not include souls going up to Heaven while the earth was consumed in the fire of God’s judgment. No, there would be a new earth in which God’s people would dwell. And there would also be a new heaven. God would remake everything, heaven and earth, the whole cosmos. The fact that John’s vision of the future includes a new earth both reassures and intrigues us. Though we don’t yet know any of the details, a new earth suggests a future reality that includes more than cloud-bound family reunions and endless choir concerts. In the new earth there might be gardens full of flowers to enjoy and fruit to be savored. There might also be gardens in which to work, without the thorns and thistles brought on by sin. In the new earth there might be endless beauty to be enjoyed, perhaps also to be added to, through human creativity. After all, these were the sorts of things built into the first earth prior to sin. It makes sense that we might find them in the new earth as well. What follows in Revelation 21 will give us a bit more to go on when it comes to the new heaven and new earth. In future devotions we’ll take time to examine closely the vision revealed through John. For now, let me encourage you to consider this vision and its implications for your life and work. The following questions might help. What picture of Heaven, if any, did you grow up with? How would you describe your current understanding of life after death? How do you see Heaven today? What difference does it make that John’s vision of the future includes both a new heaven and a new earth? When you picture a new earth, what do you see? What happens in this new earth? What do you see yourself doing in the new earth? Gracious God, thank you for the vision you gave John. Thank you, in particular, for his vision of a new heaven and new earth. As we begin to pay close attention to this vision, help us to understand more about the future. Give us the freedom to critique, even to dismiss things we have believed about the future that are not consistent with your revelation. May we have new eyes to see what your future will be like . . . and how your future touches our living today. Amen. This post originally published on April 4, 2016. ← How Does the Past Help Us Understand the Future? The concept of heaven with limited options is one that I’ve tried not to think a lot about. Thanks for the unpacking here!